How to convert ORF Photos to JPEG2000 in batch? 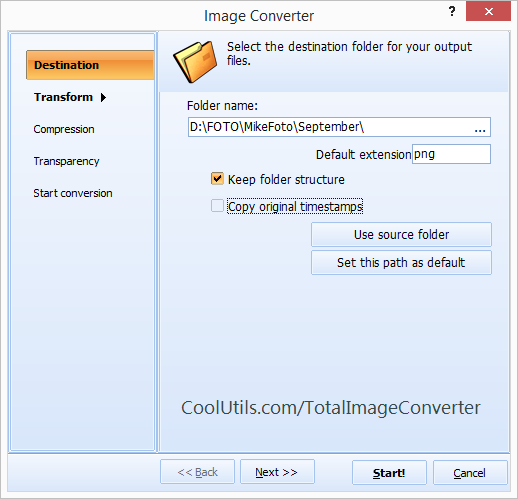 You are here: CoolUtils > Total Image Converter > How to convert ORF Photos to JPEG2000 in batch? 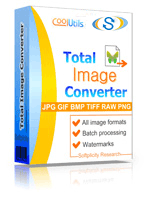 The Total Image Converter was designed to assist Olympus camera users convert their raw ORF image files into state of the art, multiuse JPEG 2000 images. Although cameras are designed to collect images, they sometimes aren’t that great at displaying those images beyond the camera viewer. ORF is an example of how companies like Olympus use what are known as proprietary technologies; meaning the file format their devices produce aren’t universally acceptable. That’s where the Total ORF to JPEG 2000 Converter steps in to help. With the Total ORF to JPEG 2000 Converter tool, you will no doubt discover the amazing difference that the JPEG 2000 format can make (even when compared to its predecessor the JPEG)! 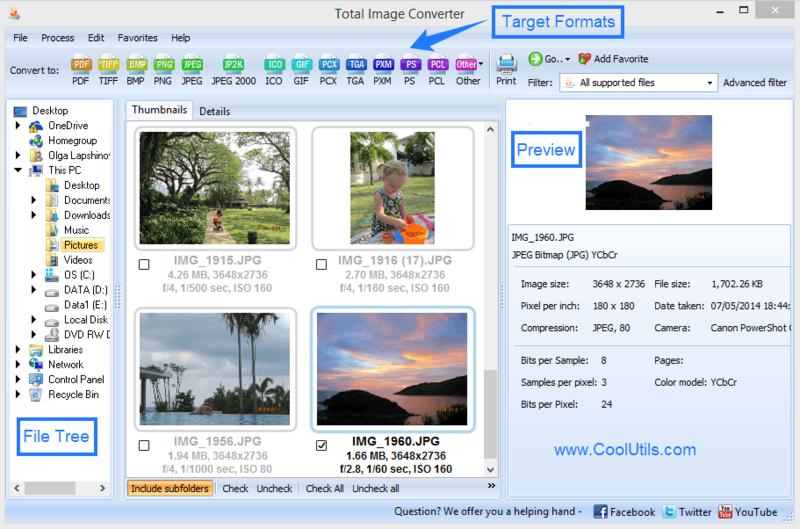 With the Total ORF to JPEG 2000 Converter you’ll have access to an image conversion app that’s second to none. Whatever your visual project needs, we can help you meet them! See for yourself what everyone is talking about with our free 30-day trial and explore some of the other proprietary image file formats that we offer help in converting to JPEG 2000 including: RAW, CRW, DNG, NEF, SRF, CR2, BAY and MRW and more!